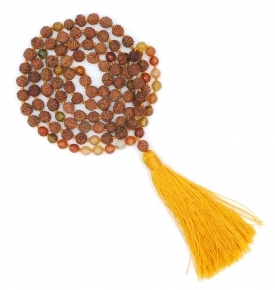 Mala beads are a set of beads, traditionally used to focus and center oneself during meditation. 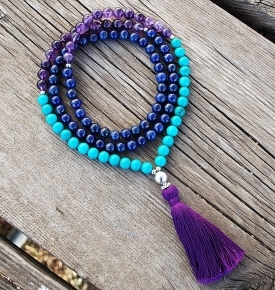 Each bead may represent a mantra, prayer or intention. 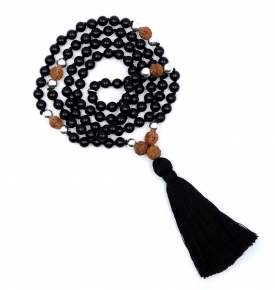 They can be used for prayer or as a necklace or bracelet. 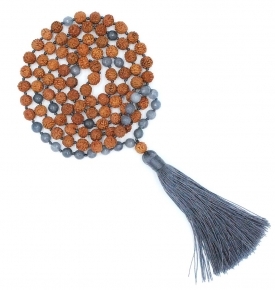 Some of the designs that you see below are imported from Bali, India & Hong Kong, and vary in price, size, material and craftsmanship. Ships next day from the USA. 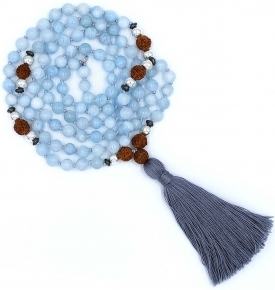 Movement meditation brings about a harmonious joining of body and mind to center thoughts and awareness of our oneness with ourselves and the universe. 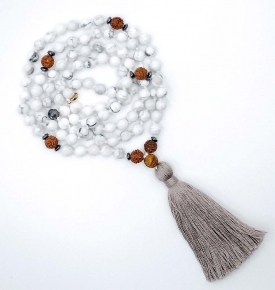 Our yoga mala beads and jewelry are individually crafted with beautiful beads to bring one’s mind into alignment with the beauty all around. 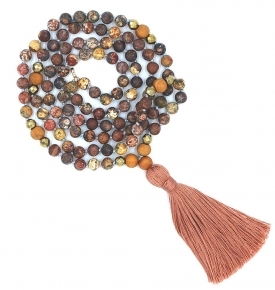 Gemstone mala beads represent important aspects of one’s spiritual journey through life, such as carnelian, which is a gemstone frequently associated with abundance, creativity, and organizations. 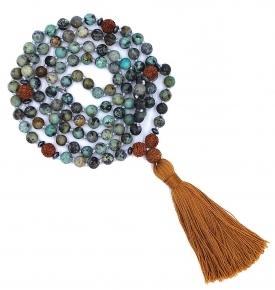 Our Knotted Carnelian Mala with Lapis Markers is a beautiful reminder of the power and illumination of the sun. 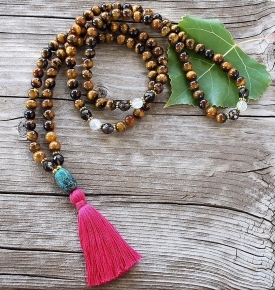 Other yoga mala beads focus on bringing inspiration, happiness, and purification, into one’s life, among other spiritual needs. 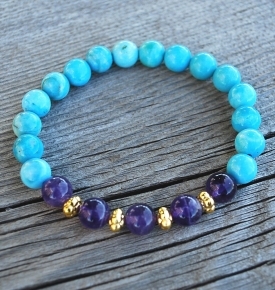 Yogis (and Yoginis) often practice Sun Salutations, known by the Sanskrit name Surya Namaskar. This sequence of movements is a moving, active meditation and prayer of gratitude to the sun, or ‘divine light.’ It is frequently used as a warm-up in many yoga classes because it brings movement to the joints and creates heat in the body as the sequence is repeated. It is a very physical sequence, and not easy for some yoga students to perform. 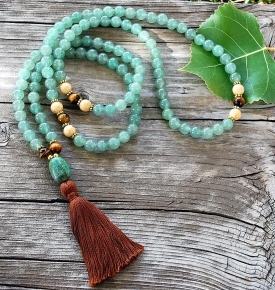 But it is also a very spiritual sequence, and once the physical aspects of it are mastered, there is a lot to be gained by focusing one’s attention of gratitude toward the sun and the prana (life energy) that flows from the sun, through the atmosphere to the Earth, into the ground, plants, and our bodies. 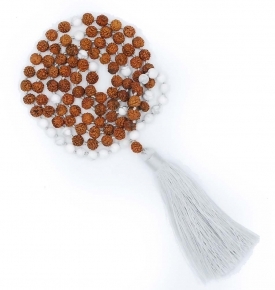 Yoga bead malas, used to begin your practice by focusing the mind through one- pointedness, bring calm and vitality into one’s daily life. 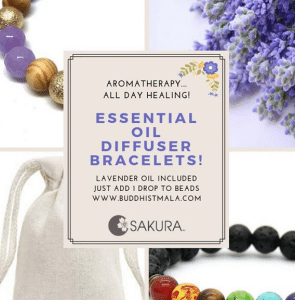 We, at Sakura Designs have many different designs of inspired, Yoga Mala Beads & Yoga Jewelry to help to find the right one for each person’s needs. 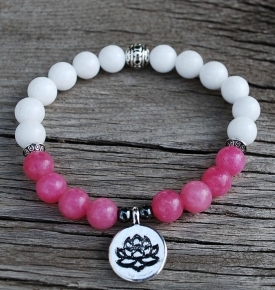 Enjoy our Yoga Bead art creations!